We have all experienced the frustration of spilling something like red wine or soft drink on the carpet. This especially applies if you have kids or pets or both! First comes the disbelief and then comes the panic! When that panic sets in, try taking deep breaths and may be even walk away for a few minutes to restore calm to the situation. What you do or don’t do during those first panicked minutes, can save your carpet or destroy it! Most people in this situation either go straight to Google and see what the Internet “experts” have to say about removing stains or they rummage through their kitchen/laundry cupboard and grab anything that vaguely resembles a cleaning product. In these emergency situations who has time to read instruction labels or warnings about spot testing first? Right? With great haste you spray, pour, scrub, sprinkle, vacuum and pray until you have enough chemical concoctions on the carpet, to write a science paper! But has it fixed the problem or just made a bad situation a whole lot worse? 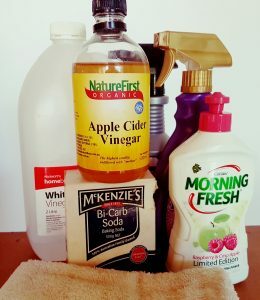 In this article I will explain why some stain removal, home remedies are best used with caution. 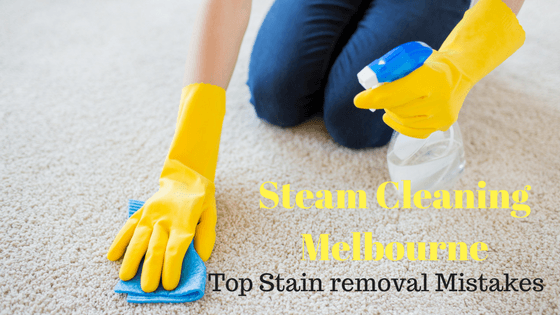 Also, why sometimes it is best to call in a professional carpet steam cleaning Melbourne service rather than tackle the stain yourself. When it comes to most food and drink stains, vinegar is king! Vinegar is an acid and most food and beverages contain acid as well. This is why vinegar works so well on these types of stains. Acids break down other acids. However not all vinegars are equal! Only white vinegar is suitable for using as a stain remover. Other vinegars such as balsamic, red wine or apple cider vinegar can leave stains of their own on carpet. Ironically you can use white vinegar to remove these other vinegar stains! Adding a few drops of dish washing liquid to a spray bottle with vinegar diluted by water, adds extra oomph to the cleaning power of vinegar. There are 3 important steps to remember when using vinegar as a stain remover on your carpet. Dilute the vinegar with water and mist it over the stain rather than pouring it on. Always do a spot test somewhere inconspicuous before spraying it all over your carpet. 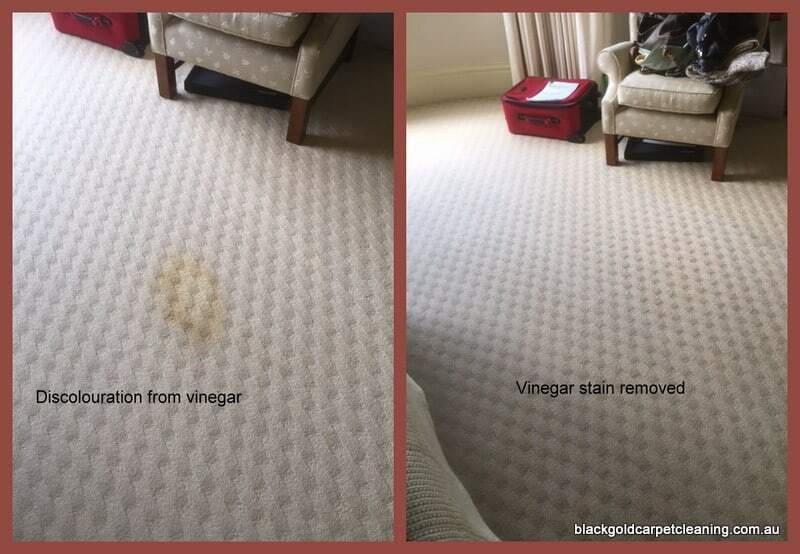 Vinegar can cause discolouration on some types of carpet fibres, especially if it is used in large quantities and left on the carpet for long periods of time. 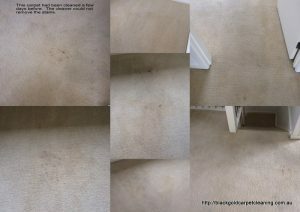 These photos below show what happens to carpet when vinegar is used excessively and then not rinsed properly. 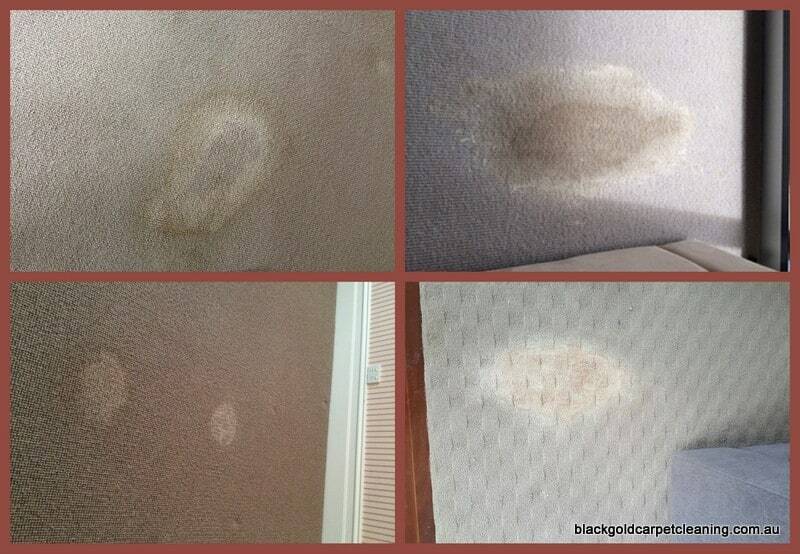 Luckily this customer called us at Black Gold Carpet steam cleaning Melbourne for help fixing this mess. If Vinegar is king, then bi carb soda is queen! This white powder can be sprinkled over wet stains to absorb liquid and odour. 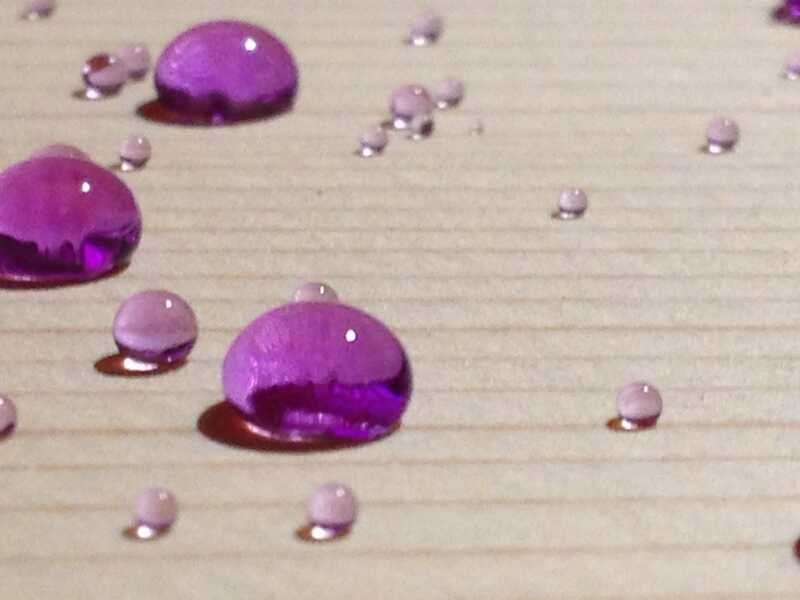 If you sprinkle it over a stain moistened with vinegar then you will really see cleaning power in action! This combination causes a chemical reaction which releases carbon dioxide. Leave the stain until the mixture stops bubbling and allow it to draw the stain out of the carpet. Then wipe or vacuum it away. The order you use here is very important. Always vinegar first then bi carb soda. If you do it the other way around you could end up with a huge volcanic like mess! The main problem with using bicarb or baking soda, is the mess it leaves behind. If you use too much and leave it for too long the paste becomes a hard chalk like substance stuck firmly to your carpet fibre. It can be very difficult to remove! Vacuuming alternated with a light, gentle brushing of the carpet, helps. Rinsing with warm water, then drying the area thoroughly, should remove the remaining residue. 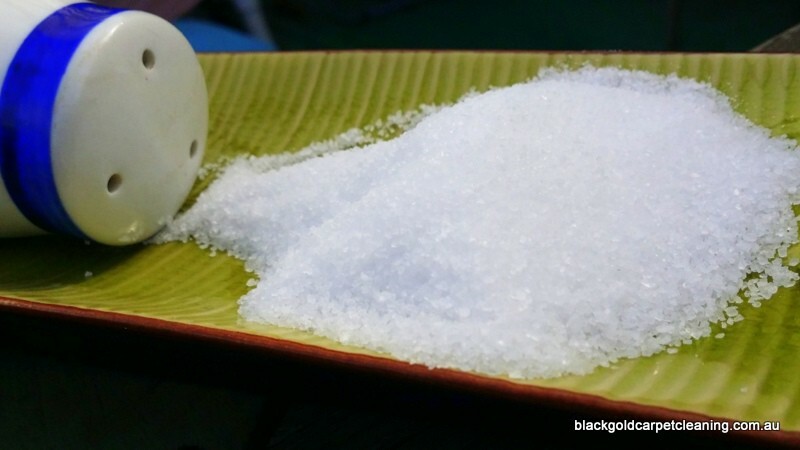 However if you find there is still bi carb soda visible, then you may need to call in Black Gold Steam cleaning Melbourne for help and advice. You can purchase over the counter carpet stain removers from most supermarkets. I would always err on the side of caution when using a product like this. Read the instruction label and always, always, test it on an inconspicuous spot first! The main ingredient in these sprays is hydrogen peroxide. 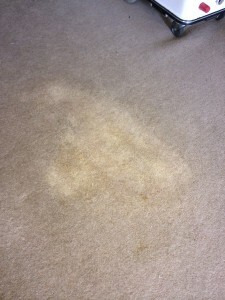 There are different strengths of hydrogen peroxide and it is recommended that not more than a 3% solution is used on carpet, unless you are a professional carpet cleaner. Stronger solutions, higher than 3%, may result in colour loss or bleaching of carpet fibres. Professional carpet cleaners are trained to be able to identify different carpet fibres and know what is safe to use. They also have high powered equipment capable of rinsing all of the hydrogen peroxide away. The biggest problem aside from the bleaching, is removing all of the residue. Often these spray on cleaners are difficult to remove without professional equipment and therefore the residue attracts dirt. The other chemicals mixed in with the hydrogen peroxide are usually preservatives and stabilisers as well as a lot of water. It would be much cheaper (and safer) to just buy some 3% hydrogen peroxide and dilute it your self in a spray bottle with some warm water ( 1:2). You could also add a few drops of dish washing liquid to help with the cleaning process. Make sure you do not rub the fibre and always rinse and dry the spot. To avoid any potential problems and save yourself a whole lot of effort and stress, I would recommend you call a professional like Black Gold carpet steam cleaning Melbourne to remove the stain or at least offer the right advice. I am all for natural cleaning remedies and products. In fact most of our cleaning products are natural citrus based detergents and spotters. We also use essential oils for their natural antibacterial properties. However just because it is “natural” doesn’t mean it is always safe to use on every stain and every carpet type. There is actually quite a lot of science involved in carpet cleaning and it takes training and experience to understand what works best in each unique situation. There is not “a one size fits all” when it comes to carpet steam cleaning and stain removal. Always seek professional advice before reaching into the cupboard. Carpet cleaning maintenance is something many people neglect. You have just had your carpets professionally cleaned, what now? How do you keep them looking this good for as long as possible? Probably the least talked about step when it comes to carpet care and cleaning, is soil management. However, this step is arguably, the most important step of all! Carpet cleaning removes dirt and stains. You can apply protective products to slow down re soiling. The best way to maintain your carpet fibre, however, is to prevent the amount of soil coming into your home or office in the first place. There are many measures you can take to stop oily and abrasive soils from coming into your home or business. Below I have listed a few easy steps you can take to protect your carpet. Regularly sweep paths, parking areas and walkways to keep them free from soils and debris. Additionally, regular pressure washing of these areas, will prevent a build up of of dirt and oils. This type of prevention is a very important first step in carpet cleaning maintenance. An easy and cost effective way to make sure that dirt and oils do not enter your home of office, is to use soil barriers. Mats make good barriers and should be placed at at entrance points. For high foot traffic areas and in businesses, it is a good idea to use both exterior and interior mats at all entrances and exits. 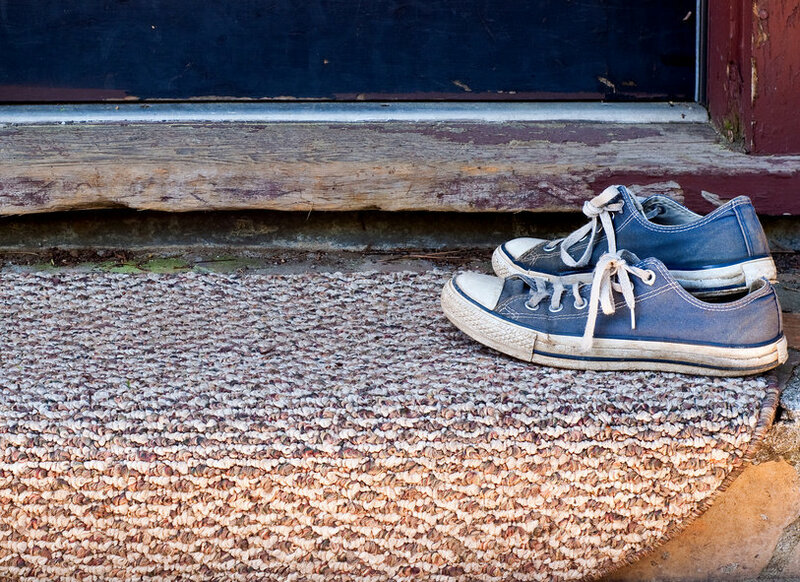 Exterior mats should have a thick, rough texture so that dirt and mud can be scraped off the soles of shoes. Once deposited on the mat, the soil should fall away, not sit on the surface, or it will re soil the next person’s shoes. Interior mats should be softer and more like carpet. 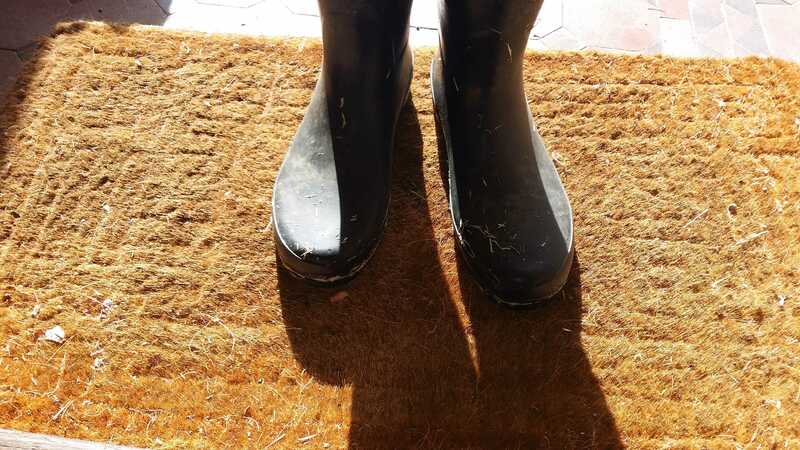 These mats wipe and dry the soles of the shoes, and are especially important during the wetter months of the year. Inside the home or office, high traffic areas and wet areas, will also benefit from floor mats to stop the spread of dirt and oils. Mats used as soil barriers require much more frequent cleaning than standard carpet. I cannot stress strongly enough, how important regular vacuuming is for carpet cleaning maintenance! A vacuum with a good HEPA filter and strong suction will remove most dry dirt and particles. The aim of vacuuming is to remove both visible and invisible dirt particles, with out damaging the fibre or redistributing the particles into the air. Unvacuumed carpet may look clean. However dirt and dust particles left on the carpet can cause damage by scratching the surface fibres. This makes the carpets appear dull. The frequency of vacuuming depends on the amount of foot traffic. For most households I would recommend at least once or twice a week. A machine such as a pile lifter will lift crushed fibres in high traffic areas and aid the removal of ingrained dirt. 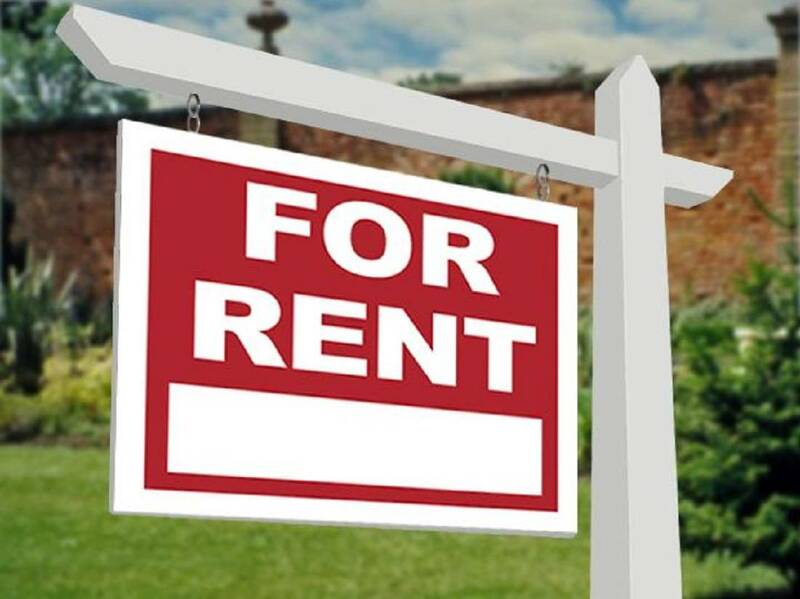 A planned maintenance program is something many commercial properties employ, but is also something residential property owners should consider. A maintenance plan should take into consideration, the number of occupants, their budget, types of floor coverings, and the types of soils. A planned carpet cleaning maintenance program will allow time frames to be set for cleaning. These time frames depend on the properties usage and needs. A maintenance program will help ensure carpets are maintained year round and prevent premature wear or aging of floor coverings. It is an investment in the longevity of your carpet. A carpet maintenance professional will ensure the above three steps are taken care of on a regular basis. They will also include carpet cleaning at least once a year and spot cleaning as often as needed. If you would like to discus soil management or arrange a carpet clean maintenance program, please contact us at Black Gold Carpet Cleaning. 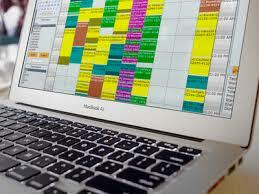 We are always available to help answer your questions or arrange a booking. When was the last time you had your carpets professionally cleaned? Professional Carpet Cleaning – what is it? Professional carpet cleaning, aims to maximise soil removal, while minimising damage to the textile floor covering. A professional carpet cleaner will have the knowledge, training and experience to both achieve both of these aims. Professional carpet cleaning requires training and accreditation by an industry recognised training facility. 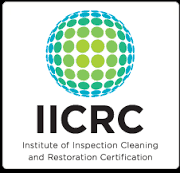 The most respected training organisations in the Australian Cleaning and Restoration Industry, are Jena Dyco and IICRC. Carpet cleaners who complete these courses will be able to determine what type of carpet you have and the best method for your carpet. What you should ask is, “are you a professional, carpet cleaner?”, rather than just asking about price and method. Carpet cleaners differ depending on their training, experience and equipment, this is why results, can vary so much. Professional carpet cleaners do not have a “one size fits all” approach. A professional will recognise the unique qualities of each job and adjust their methods and techniques accordingly. A series of questions are asked at the time of booking. These questions help to determine a rough quote based on the details you give over the phone. Once on site, the cleaner will then walk through the property with you before they set up. During this pre inspection, the cleaner will examine they type of carpet you have, its construction, use, condition and amount of soiling. This is when the cleaner makes a final decision regarding the best cleaning system for your carpet. A cleaning professional must employ the five main principles of carpet cleaning to ensure maximum soil removal and prevent damage. Chemical activity: After vacuuming a pre spray is applied. Professional carpet cleaners will try to use bio degradable detergents where ever possible. They will know which product is best suited to the fiber and the method they have chosen. Professional cleaners follow label instructions so that they use the correct quantities. Heat/Temperature: Generally speaking, the more heat used, the greater the cleaning efficiency. The power of the pre spray is increased by heat, which often means less chemical is needed to achieve maximum results. Less chemicals means less residue. However heat in inexperienced hands can result in fiber damage and dye loss. Agitation: This process can be done by hand using a brush, a motorised rotary or water pressure. Agitation distributes the cleaning agents so that they can separate soils from carpet fibres. 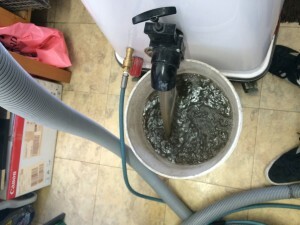 This process speeds up the soil suspension and is an important step, especially for heavily soiled carpets. Time: Soil suspension does not happen immediately. Chemicals need time to dwell on the carpet to maximise their efficiency. 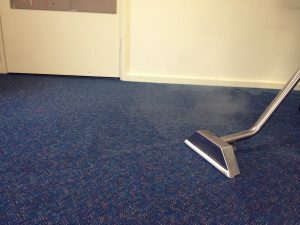 dry residue vacuuming – a dry compound or foam distributed over the carpet to attract the suspended soil, then vacuumed away. This step does not actually aid in the removal of soil, however it does help the next step, which is drying. A professional carpet cleaner knows that grooming the carpet after cleaning, helps maintain the look of the carpet fibres. Grooming also aids in the distribution of deodourisers and fabric protection. This step also helps with evaporation, which speeds up drying time. Professional cleaners will always ensure they take steps to minimise drying times. Wet carpet left for an extended period, can result in a few different problems. The first being, carpet which takes more than a few hours to dry is a major inconvenience for the customer. It also increases the chances of re-soiling from foot traffic. The increased potential for slip and fall incidents is another very serious consequence when moving from wet carpet to hard floors. Finally, there are issues such as mould, odour, browning and dye bleeds or transfer. The cleaner will employ some of these methods, but not necessarily all of them. A professional carpet cleaner will always do his best to ensure carpet dries in the shortest amount of time possible. Drying times vary depending on a few different factors. These include, inside and outside atmospheric conditions, air movement, the type of fibre, the pile density, the amount of soiling (heavily soiled carpet requires more cleaning solution) and the application of protectors and deodourants. Other factors that can greatly affect drying times are the experience of the cleaner, the performance of their equipment and the method of cleaning they use. Carpets cleaned by hot water extraction are usually dry within a 4-5 hours, where as dry cleaning methods like bonnet cleaning can be dry in as little as 1-2 hours and dry compound cleaning leaves carpet dry immediately. Regardless of the method used, the drying time should be a matter of minutes or hours not days!! Where can I find a Professional Carpet Cleaning service? qualifications and affiliations on their websites. The IICRC issue ID cards to cleaners who have passed their certification exams. You can always ask to see the cleaners card as proof of their qualifications. 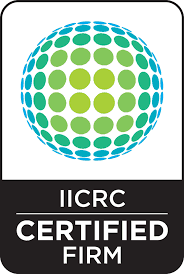 A good place to locate a professional carpet cleaning service in your area is on the IICRC website. Finally, do not base your decision purely on price, ask questions and use your knowledge to determine whether or not the answers you receive are accurate. Black Gold Carpet Cleaning is a IICRC Certified firm, so please contact us to arrange a booking. Carpet Cleaning Service to become obsolete in near future? You may never have to use a carpet cleaning service again! Self Cleaning Carpet: Is it a possibility or just science fiction? Have you ever wished there was an easier way to clean your carpet? Not just the endless vacuuming, but also the hassle of having to find a good carpet cleaning service for your annual spring clean? 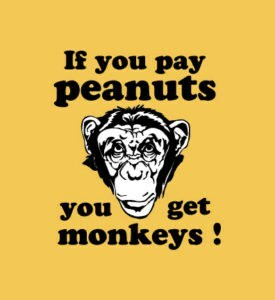 Who do you hire, who do your trust, how much do you pay, will they do a good job…? Just imagine yourself living in a home with self cleaning carpet! 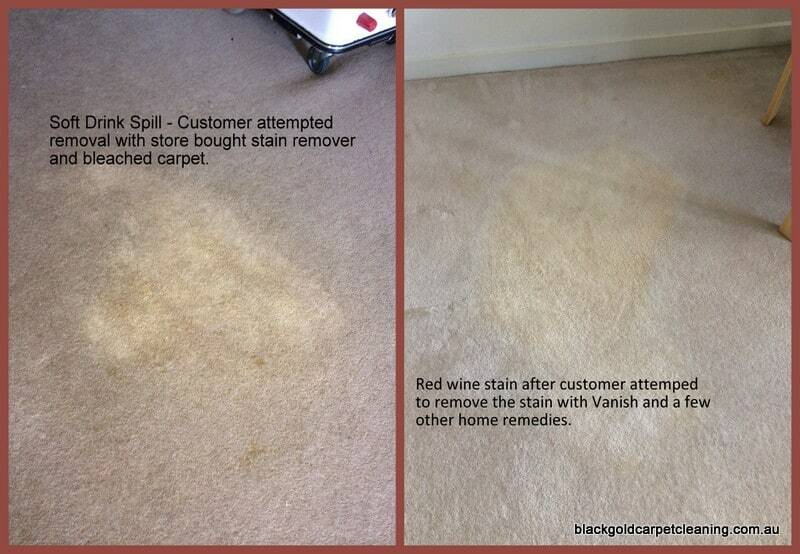 Just imagine a quick once over with a light bulb and away you go – no more stains, no more wet carpet, no more stress! What? A light bulb? Yes, that’s right, this might be the way of the future and it might not be as far fetched as it sounds. Keep reading to find out how a light bulb and nanotechnology might one day revolutionise carpet cleaning service. 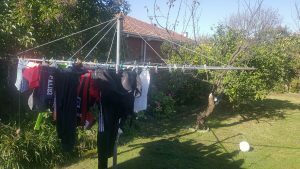 Researchers at Melbourne’s RMIT University are currently developing a technology which might well do away with the household washing machine. They are working on creating fabric for clothing, which is self cleaning. The researchers have found that by growing nanostructures on fabric, they can create textiles that self clean. 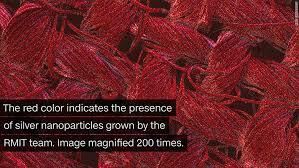 The nanostructures, when exposed to light, release a burst of energy which then destroys organic matter such as stains. The idea is, that if you spill something on your clothing, you can just hang it out in the sunshine or under a light to remove the stain. Dr Rajesh Ramanathan, is one of the lead researchers in the Nanotechnology Research Facility at RMIT. His team has found the copper and silver based nanostructures are the best at absorbing light. When they absorb light, energy is created and this in turn degrades organic matter such as stains. In the future this type of technology could also be used to destroy super bugs which are currently resistant to most known anti bacterial treatments. They have begun testing on super bugs and so far the results have been promising. I wonder if this technology will also reduce VOCs in carpet? The future carpet cleaning service? To date, the research has focused purely on stain resistant clothing textiles, however why stop there? One day, nano structures could be grown onto carpet fibres and carpets could become self cleaning. All you would need then, is a light emitting machine to go over the carpet and BAM! No more stains! How revolutionary would that be? This is definitely some research to watch, and who knows, what other uses it might have! In the meantime, you will still need to vacuum your carpet regularly and have them professionally cleaned at least once a year, so contact us for a quote (before we become extinct!). 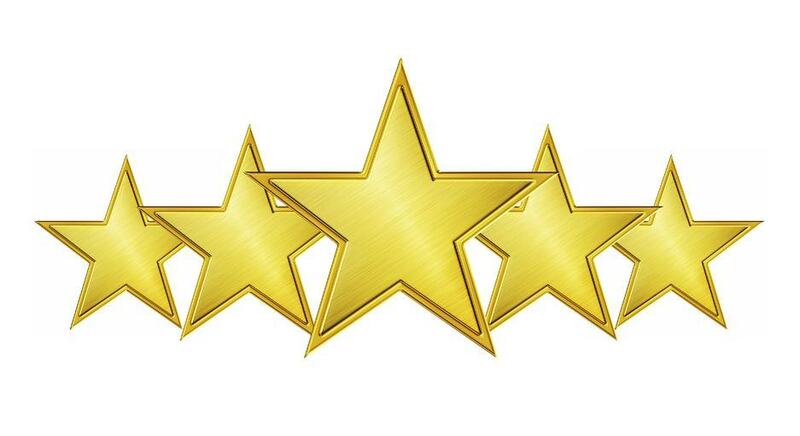 Best Carpet Cleaning Review in Melbourne! I called Rony straight away to find out what had happened. He explained that his carpet was heavily soiled and the guy who came to clean had removed some but not all of the dirt using standard carpet cleaning methods. I quickly apologised and arranged a time a few days later to come and take a look. I brought the original cleaner with me so I could show him a more thorough cleaning method for heavily soiled carpet. Heavily soiled carpets require very hot water and additional dwell time for the chemicals to work their magic. They also, often requiring agitation by a rotary machine or at least a lot of good old fashioned “elbow grease” by the carpet cleaner! water after I re cleaned the “clean” carpet! By the time I had finished Rony was over the moon! Even my guy was impressed with the end result and more than a little embarrassed by his original attempt. He now knows what to do next time so it was a very valuable learning experience for him. I am so grateful that Rony gave me the opportunity to re clean his carpets. I just had to show both of them, the water from my machine: that is the water from the “cleaned” carpet, after my re clean! 5 stars plus! Yasser, I just want to say thank you for cleaning my carpet today! Last week one of your employees cleaned my carpet but I wasn’t completely satisfied. 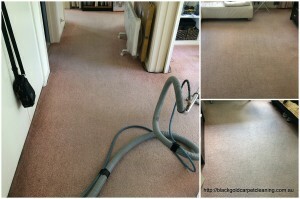 After we spoke over the phone, you came personally to make sure the carpet is clean and that we are satisfied. Let me just say that your care for your customers is beyond description. If anyone is searching for carpet cleaners like I did, then look no further, this is the right company, the customer service you’ll receive is like nothing you have experienced. Yasser, thanks again mate, with all honesty I didn’t think that people genuinely care anymore about customers. 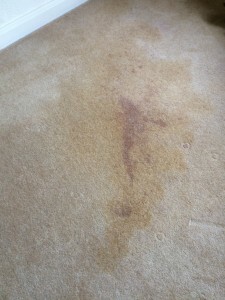 This would have to be one of the best carpet cleaning reviews I have ever received and it is even more special because it came from someone who could have just walked away and written us off as just another dodgy carpet cleaner! Second chances are like gold! Please contact us to discuss your carpet cleaning requirements, and be assured we will not be happy until you are! 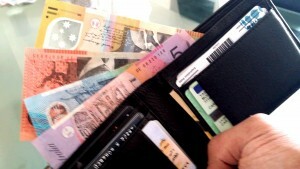 Vacate Carpet Cleaning Melbourne: Why going cheap can cost you! 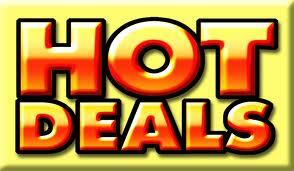 Vacate Carpet Cleaning Melbourne, customers should be wary of prices too good to be true. A picture paints a thousand words….but so can a review! “Extremely professional & very passionate about his work. To me the last sentence says it all! This customer was vacating a property and had the carpets cleaned once during his tenancy and again as he was leaving. Two different carpet cleaners were unable to remove the stains, he eventually called me to remove. Before – 2 other cleaners had left the carpet in this state! Just think, on top of all the other costs associated with moving house, this poor customer had to pay for vacate carpet cleaning, not once, but twice! The first cleaner was budget priced and poor Deepak found out the hard way that sometimes “budget” means bad! He was left in the unfortunate situation of either sacrificing part of his bond, or finding another carpet cleaner who could help. Luckily for Deepak, he found Back Gold Carpet Cleaning and called me. I was appalled that any carpet cleaner would leave a premises in that state and have the nerve to charge for it. 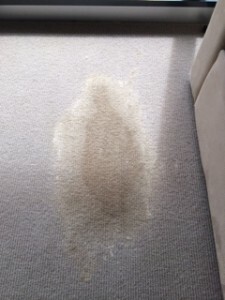 There were not only the original stains but also obvious browning and water damage from the carpet cleaner over wetting the carpet. All carpets are different and a professional carpet cleaning understands this and adapts his cleaning methods accordingly. Wool carpets require a different amount of water pressure (PSI) than synthetic carpets. 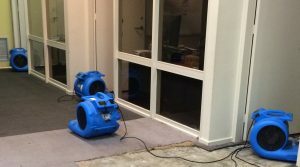 By using the wrong pressure setting, you can damage carpets by over wetting, which causes wicking (browning) and other issues such as mould and carpet shrinkage. What you are paying for when you hire me is more than just carpet cleaning, you are also getting years of experience and knowledge, training and qualifications which certify my work to industry standards, a satisfaction guarantee and peace of mind, knowing I will do everything I can to ensure you get your bond back and do so with a minimum of fuss. I will turn up at the appointed time and you will have one less thing to worry about. Moving house is a stressful business and I always do my part to make sure that at least the carpets are cleaned with a minimum of stress. 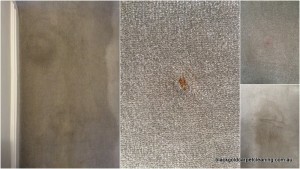 I was very happy to be able to help out Deepak and remove the stains and the water damage left by the previous cleaner. Take a look at the colour of that water!! 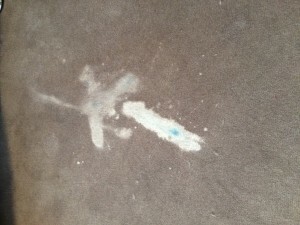 This is from carpet that supposedly had been cleaned a few days before!! How many rooms do you have / what is the approximate area? cs) or they are not adequately trained or not yet experienced enough to know that these questions are very important when determining an accurate quote. 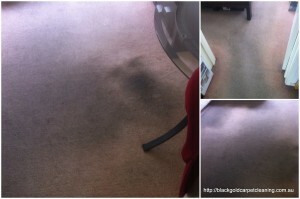 For stress-free vacate carpet cleaning Melbourne contact Black Gold Carpet Cleaning Melbourne. Death by Coupon! Prices for Carpet Cleaning in Melbourne smashed! 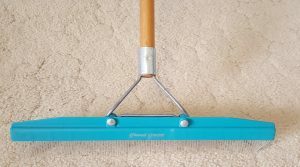 Are coupon and deal sites destroying the service industry, and in particular my service industry – carpet cleaning in Melbourne? 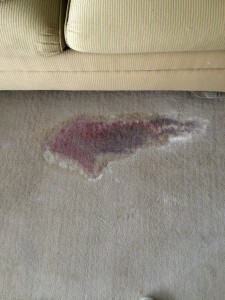 Cheap carpet cleaning in Melbourne is easy to find, but at what cost? I was in the office the other day and happened to answer a call from a customer. She was asking for a quote to clean the carpet in her large four bedroom house and 5 seater couch. I did a quick calculation and then discounted it by 25% (it’s winter – our quiet time, so I need to be competitive in my pricing). When I gave her the discounted price, she screamed – and I don’t mean screamed in a good way!! She was horrified by my very generously discounted quote and told me it was way too much and she was going to look up her favourite daily deal provider for a better price! This got me thinking, has the coupon industry ruined our customers’ price perception forever? 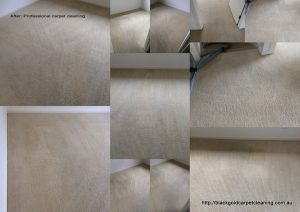 Carpet Cleaning in Melbourne is uber competitive and it is really difficult to stand out from the crowd. We try to by offering fantastic service and results every time and highlighting our uniqueness. 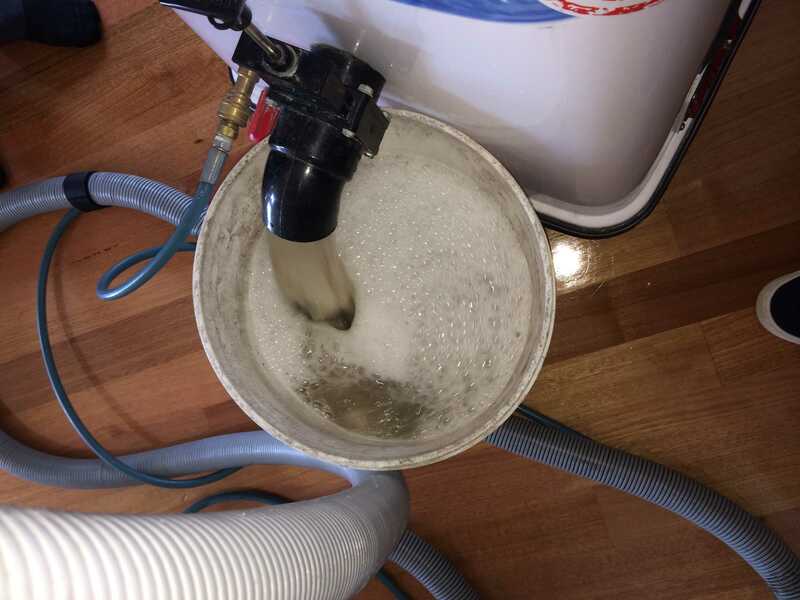 I discussed this in my last blog “carpet steam cleaning in Melbourne – why use us?”. Price is often a crucial deciding factor for our customers, that is why we try to keep the price as low as possible without selling ourselves short. But how can we compete with “4 rooms of carpet cleaning for $50” and do we really want to? Before I get into this, I have a confession to make. When I started this business a few years ago, I signed up to several coupon sites and I sold 4 rooms of carpet cleaning in Melbourne for $50!! At the time it seemed like a great way to get exposure, build our list, get people to our website, to try our service at a super low price and then book us again next time at the true price. Sadly, we found we were flat out servicing coupon customers and had no time for regular customers and these coupon customers were not keen to return to us without the same discount. They all raved about our service and sure some did call us up again next time they needed carpet cleaning, but they wanted the same discount again!! When we couldn’t offer this price a second time, they went back to the deal sites to find another carpet cleaner offering another unbelievable deal. 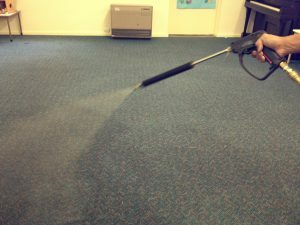 Carpet cleaning in Melbourne is something many cleaning companies offer, but very few of them are actually carpet cleaners. It takes time, experience, training the right equipment and knowing how to use it, to clean carpet properly. 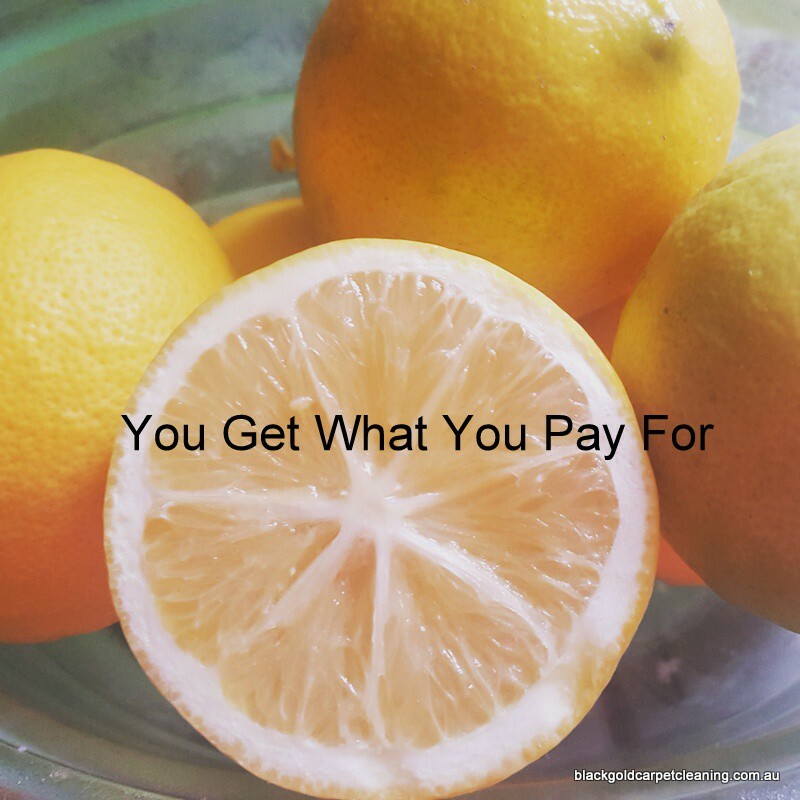 This all comes at a cost to the business and contributes to the pricing. When we did coupon deals, of the $50 charged, we only received $30 and the coupon company got the other $20. That $30 barely paid for our petrol let alone our cleaning supplies! We looked at it as a short term marketing campaign rather than a money making exercise. You really do have to question what sort of result you will be getting from someone charging these types of prices. Your carpets and lounge suites cost a lot of money, why risk using someone based on their pricing alone? Would you take your designer dress or Italian Suit and throw it into the washing machine with your socks, just to save money on cleaning? No, of course not! You would take them to a professional dry cleaner. Just imagine how your outfit would look after a good spin in the washing machine! Do you really want your carpet to end up water logged, shrunken, stretched, damaged, or have the dye run? These are some of the things that can happen if you choose a carpet cleaner on price alone. Why would you trust your valuable soft furnishings to anyone other than a professional? I am not for a minute saying coupon carpet cleaners are all cowboys, I just want customers to be aware that price isn’t everything. I am sure a lot of these coupon deals are from businesses just like ours, trying to make ends meet in tough times, generate a quick cash flow and build a list. July 20, 2013 / Comments Off on Death by Coupon! Prices for Carpet Cleaning in Melbourne smashed!